Call, email, or text us anytime. We check messages often, and return phone calls within 2 business days. Texting is the fastest way to reach us. Our visits are 30 minutes in length and cost $19 each. We book up fast, especially for the holidays! On holidays, your visit is limited to the time it takes to care for your pet. This is in lieu of a ‘holiday surcharge’ that many sitters add on. We ask that if you must cancel a visit, please call at least one hour ahead of the scheduled time. Otherwise, we will charge you for that trip. As visit times may vary, we may also base our decision on whether we were already en-route to your house, or made substantial changes to our schedule based on the expectation of going to your house. Due to safety reasons, we will not walk more than 2 dogs at one time. If our dog is continuously unruly or injures us, we may require that you enroll your dog in training classes before we will sit for you again. During times of dangerous or severe weather such as ice, severe thunderstorms, etc, we will arrive at your home as soon as it is safe to do so. If it may be unsafe for a long period of time, we will contact you to work out what is best for you, your pet(s), and us. In an emergency, we will take your pet to your vet during normal hours, or to an area emergency clinic after hours. We will of course notify you if this should happen. All dogs and cats 6 months of age and older must be spayed or neutered. The only exception is for dogs and cats that are active in the professional show circuit. We require you to notify us of anyone else who may be in your house during the time we care for your pet(s). Per city ordinance, we will pick up after your dog on a walk. Please have poop bags on hand for us to use. Please have enough pet food and pet supplies on hand. We will come to meet you and your pets, prior to the first visit (at no charge) to ensure that your pets will respond positively to us as well as feel comfortable with us in their territory. We require 2 copies of your house key. If we are injured in your home or by your pet due to negligence on your part, you will be responsible for any medical bills incurred. We ask that all bookings be paid in full before your trip. 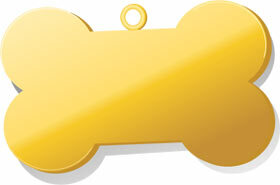 All indoor-only dogs must have a minimum of 3 visits a day while you are out of town. All outdoor-only dogs must have a minimum of 2 visits a day while you are out of town. Cat-only households must have a minimum of 1 visit a day while you are out of town. Pets must see a licensed veterinarian at least once annually and be up-to-date on their vaccines. Even if your pet does not need annual vaccinations, it’s our belief that all animals need to see a vet regularly. This will keep your pet healthy and happy for many years, and if something does happen, you will likely find out about it much sooner than if you simply wait to see the doctor when your pet isn’t well. This policy applies to all animals: cats, dogs, pocket pets (such as rabbits, rats, etc. ), reptiles, and birds. Fish and feral cats are excluded.